Bird House Kitzbhel 21 x 20 x 15 cm (L x W x H). This pretty little bird house with its slate roof will look beautiful in your garden. 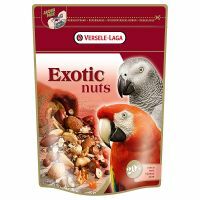 Versele-Laga Exotic Nuts 750g. Versele-Laga Exotic Nuts is a delicacy which parrots just love. Ferplast Large Parakeet/Cockatiel Bath House 23 x 15 x 24 cm (L x W x H). 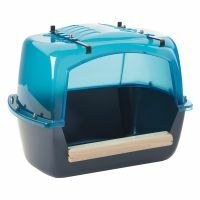 A must for every cage so that your pet can satisfy his natural desire to bathe. Trixie Cotton Ring Diameter 24cm. 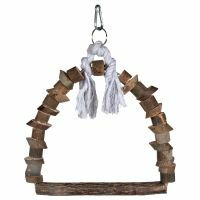 Fun playing and climbing for your feathered friend. 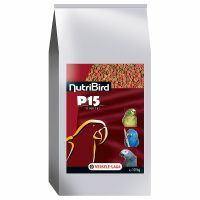 Nutribird P15 Tropical 10kg. NutriBird P 15 Tropical is a balanced complete maintenance food for parrots. 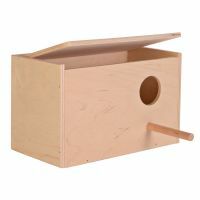 Trixie Nesting Box for Budgies 30 x 20 x 20 cm (L x W x H). 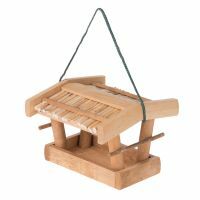 This box is made of natural untreated wood and is specially designed to meet the needs of Budgies (also referred to as Australian Parrots). 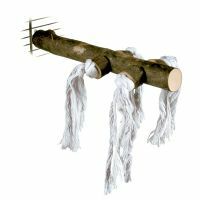 Trixie Bird Swing Nature Measurements: 15 x 20 cm. 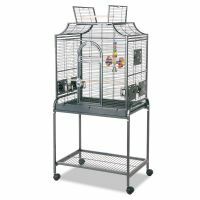 The perfect home for your bird would be cozy cage fully equipped with plenty of toys and playgrounds for it to enjoy and stay busy. 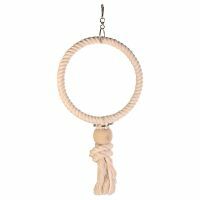 Trixie Natural Perch With Play Rope Length 25cm, Diameter approx. 25mm. No bird cage is complete without perches. Montana Cages Madeira I Antique 71 x 45 x 139 cm (L x W x H). Montana Cages stands for fascination, user-friendly, and uncompromisable love of animals. 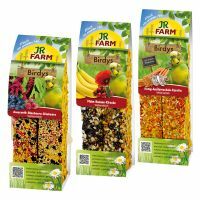 JR Birdys Budgerigar Mixed Pack Mixed Pack 3 x 2 sticks (3 flavours each 130g). 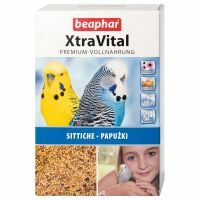 JR Birdys for budgies is a unique food supplement for all budgerigars. 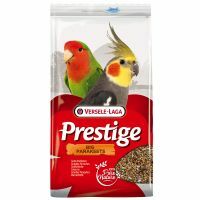 Prestige Large Parakeet/Cockatiel Food 20kg. This valuable seed mix provides a well-balanced diet complete with all essential vitamins. 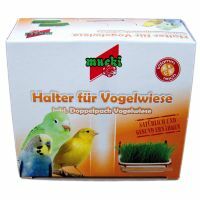 Mucki Bird Grass 2 x Bird grass dishes with brackets. Pet birds need fresh food for their daily vitamins. Bird Cage Antico Old Rose: 56 x 43 x 143 cm (L x W x H). 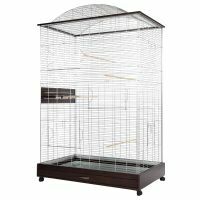 This top-quality bird cage has plenty of clever details and is a real eye catcher. 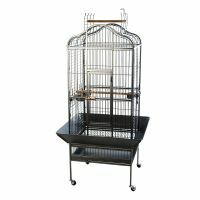 Bird Cage Finca pequeno 76 x 45.5 x 46 cm (L x W x H). 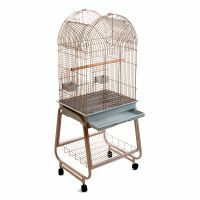 Finca pequeno is a classic metal bird cage with a narrow bar spacing so it is especially suitable for smaller bird species. 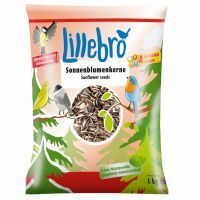 Lillebro Sunflower Seeds for Wild Birds Economy Pack: 3 x 1kg. Overwintering birds need a diet rich in energy to get through the cold season. Lillebro Snowman Saver Pack: 2 x 200g. 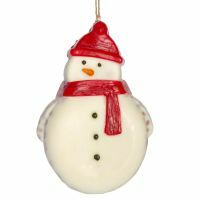 The Lillebro Snowman is both practical and decorative, offering the wild birds in your garden a fabulous tasty treat. 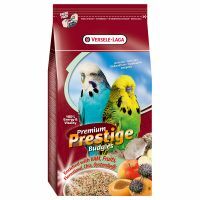 Prestige Premium Budgie 2.5kg. This valuable seed mix provides a well-balanced diet complete with all essential vitamins. 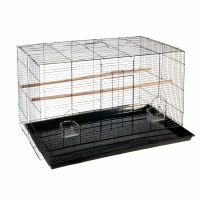 Bianca Bird Cage 100 x 52.5 x 61.5 cm (L x W x H). 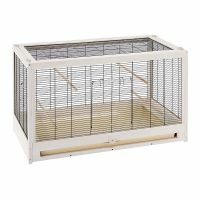 The Bianca Bird Cage is a spacious home for your flying friends, particularly small breeds such as canaries. 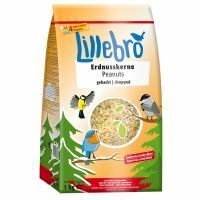 Lillebro Chopped Peanuts Economy Pack: 3 x 1kg. Lillebro Chopped Peanuts are a real favourite with wild birds. 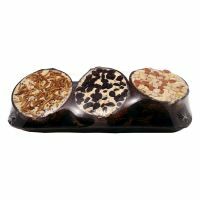 Bob Martin Coconut Halves Set of 3 3 half-shells. Our native bird species often have a hard time getting enough food in the colder months, when their natural sources of food are scarce. 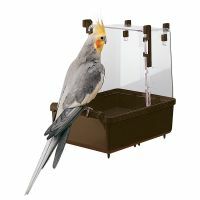 Trixie Nesting Box for Budgies 21 x 13 x 13 cm (L x W x H). This box is made of natural untreated wood and is specially designed to meet the needs of Budgies (also referred to as Australian Parrots). 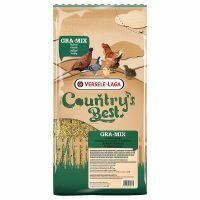 JR Birds Foxtail Millet, Red 1kg. 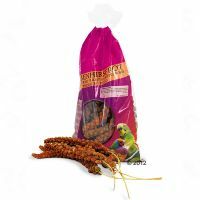 Foxtail millet is a tasty, easy to digest treat which birds adore. 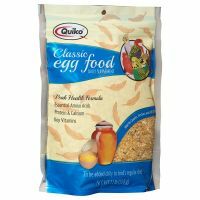 Quiko Egg Food 500g. Egg food is a healthy and much-loved food supplement for ornamental birds.